The 2019 Hyundai Veloster N is about to be a welcome addition to the affordable performance car club. Whether or not it will be a success remains to be seen, but it doesn’t have to wait to be heard. Open up your earholes for what I think is the first Veloster N exhaust clip. Sounds pretty fierce to me, especially for a four. And the snap-crackle-pop off throttle is on point! This little song definitely has me more excited about the car. Canadian car videographer Jakub at The Straight Pipes told me in an email that the microphone to make these driving clips was “positioned on the outside, by the exhaust pipes. So that’s the real exterior sounds.” Apparently those guys got early access to the car by pestering their PR contact, which, good for them. 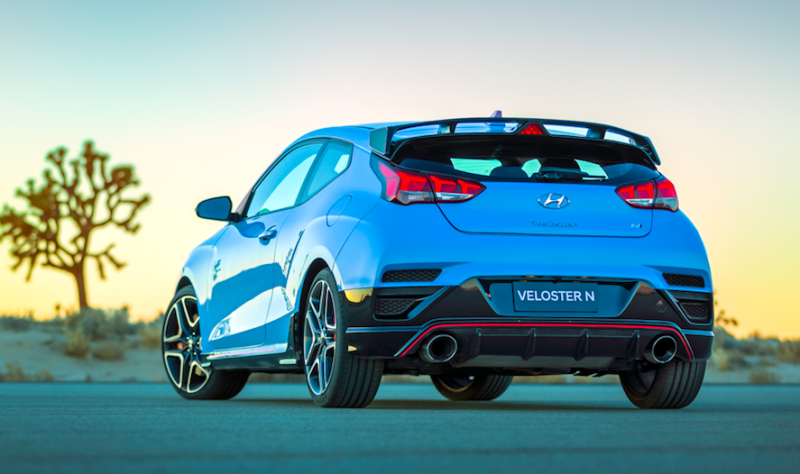 In case you missed the reveal at this year’s Detroit Auto Show, the Veloster N is going to put down a claimed 275 horsepower and 260 lb-ft of torque with a 2.0-liter turbocharged four and a traditional three-pedal manual transmission. The car will have front-wheel drive, six speeds and a limited-slip differential which is a decent recipe for a fun driver. The Detroit show car was ambitiously wearing high-performance Michelin Pilot SuperSport tires, so, hell yeah. With a good set of rubber like that, the thing might really be a screamer. Gadgets include electronically controlled suspension, and was that an automatic rev-match button I saw on the steering wheel? But character is more important than any of that when you’re putting together a car for driving enthusiasts, and the exhaust note is a huge component to creating a car’s personality. From what we’re hearing so far, it sounds to me like Hyundai’s on the right track.